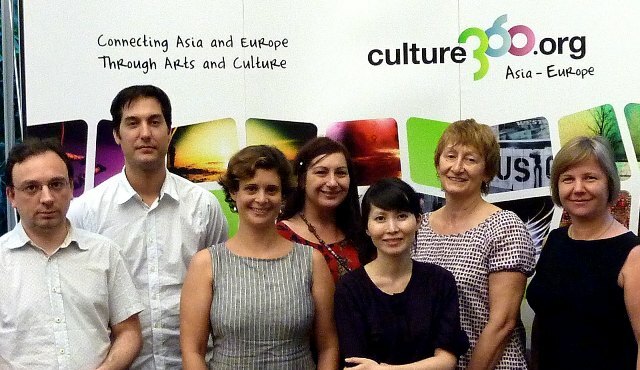 The first editorial meeting of culture360.org was held at the Asia-Europe Foundation (ASEF) in Singapore, on 18 and 19 April 2011. The two days meeting gathered the entire culture360.org; the Editor for Europe, Judith Staines, the newly appointed Editor for Asia, Sali Sasaki and the Editor for culture360.org film sub-site, film.culture360.org, Jeremy Segay. The designers of the platform Lero9, as well as the technical and social media coordinator, Jeffrey Campbell were also part of the discussions together with the culture360.org team in ASEF. Exactly one year after the re-launch of culture360.org, the main objective of the editorial meeting was to evaluate and give input to the editorial and online communication strategy of the portal for 2011. Particular attention was given to the connection with the newly re-launched sub-site on film, film.culture360.org and the soon to be re-launched website of ASEMUS (Asia-Europe Museum Network). The meeting discussed as well the planning of the 2nd strategic partnership meeting which ASEF and culture360.org will organize in October 2011 in Melbourne, Australia along the IFFACA World Arts Summit.